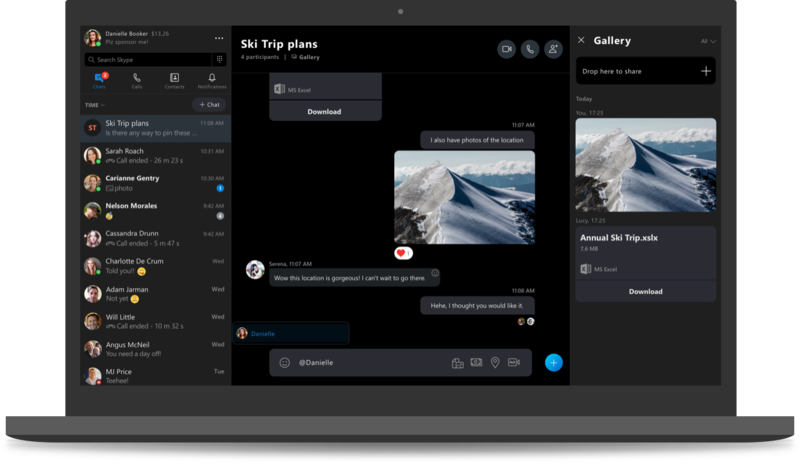 New features, faster load times, more reliability, and the look and feel of the Skype you love. Unfortunately, the new version of Skype is not compatible with your OS version. Unfortunately, the latest version of Skype is not compatible with your OS version. 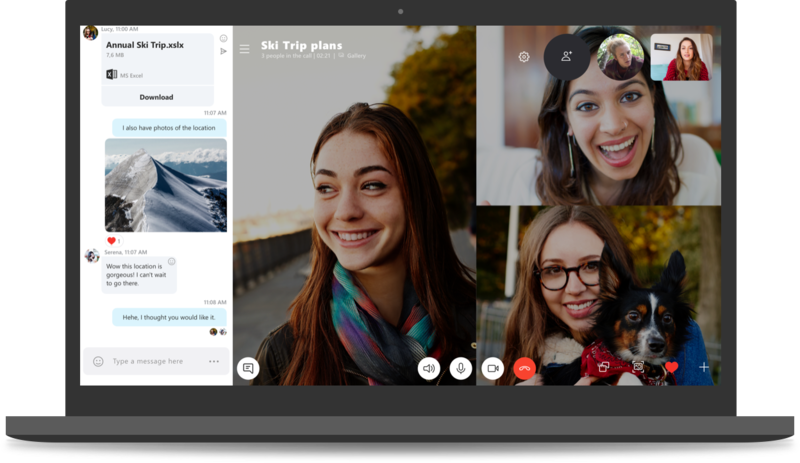 We recommend you upgrade your OS version to take advantage of all the exciting new features that the latest version of Skype has to offer. Easily grab someone’s attention in a group chat with @ mentions. Type the @ symbol followed by their name to send them a notification. Express yourself with more than just text. Quickly respond to a message by clicking on the reaction icon and selecting an emoticon. Show off your individuality. Personalize your Skype app by choosing a color and theme. More reliable 1:1 and group HD video calling. Fewer dropped calls mean more time spent staying in touch with those who matter the most. Share your screen during a call. 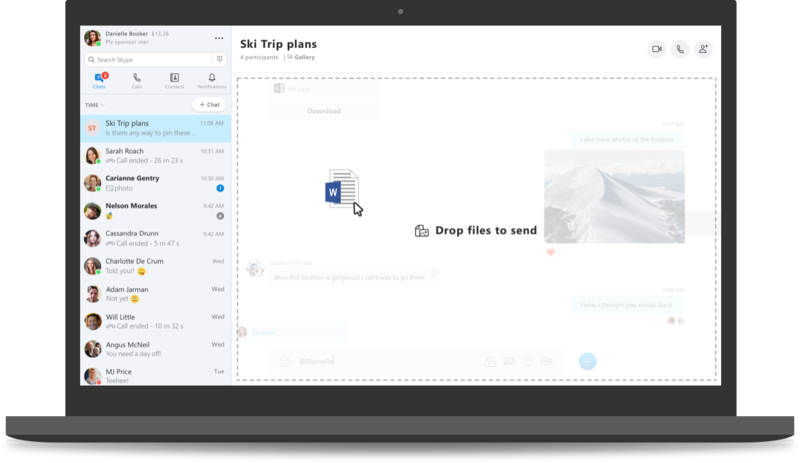 Make travel plans with your friends, present your designs to your team, or give someone help on how to use Skype. Customize your call window. Add and move people around on a video call by dragging and dropping contacts. Catch up on what you missed. Go to your notification panel to see all the reactions to your messages, @mentions in group conversations and more. Looking for that link your friend sent a few weeks ago? Quickly find shared content in the chat gallery. Just click Gallery to see media, links, and files—you can even sort by type. Visit our support site for more details on the update and how to keep your chat history. Find out which version of Skype you currently have. 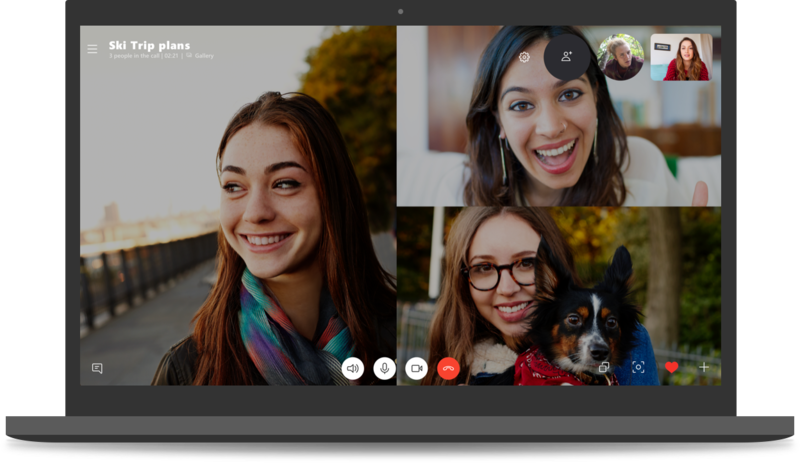 Learn more about which devices and operating systems Skype currently supports.